By now you've definitely heard about an online meme called the Harlem Shake. It began as a clip by offbeat video blogger Filthy Frank that throughout early February spawned thousands of copycats (or rather "tribute videos") with tens of millions of aggregate views. They all follow a similar template: In a room full of distracted people that's captured in a static shot (frequently a workplace of some sort), a lone individual, often in a mask, begins dancing to "Harlem Shake," a 2012 single by Brooklyn beat maker Baauer, previously barely known outside his corner of the EDM world. Then when the song's bass drop hits (at the same time as a sample of someone saying, "Then do the Harlem Shake") there's a jump cut to the same scene, except with everyone in the room suddenly dancing as wildly and unapologetically goofily as they can. The basic framework of the meme is incredibly simple and equally flexible, and the unwritten rules of the meme prescribe a bite-size running time of 30 seconds or so. The dancers' lack of self-consciousness is contagious, as is the videos' playful joy. The dance all these people are doing, of course, isn't technically the Harlem Shake. The real Harlem Shake is associated with 90s New York hip-hop—a distinctive full-body shuffle meant to imitate the drunks and crackheads on the city's streets. The shoulder shimmy that Puff Daddy deployed in some of his most iconic music videos is probably the best-known example. The popularity of the Harlem Shake meme has provoked criticism from people familiar with the original Harlem Shake, irked that this apparently unrelated YouTube craze was usurping the dance's name. "Don't get me wrong i love that Baauer song," tweeted avant-garde New York rapper Le1f, "but c'mon son, if you ain't really Harlem shaking to it, that's manifest destiny yo." A Time.com piece quoted Burton W. Peretti, author of Lift Every Voice: The History of African-American Music, who called the Harlem Shake phenomenon part of "a pattern of appropriation of African-American dance and music." As the meme exploded, a swell of tweets and blog posts condemned it along similar lines, and a collection of Harlem residents' reactions to Harlem Shake videos went viral itself. And the defenders of the original Harlem Shake have a point. The dance and its name were the cultural property of a specific population, and they've now been co-opted and transformed by a much broader demographic that's largely ignorant of their history. (Though not an exclusively white demographic, as many critics have suggested—people of color have been a part of the Harlem Shake meme from the start.) At its most basic level it's a lot like white hipsters wearing faux Native American headdresses to music festivals. Those two examples aren't exactly parallel, though, and the difference is intent. The image of the American Indian that headdress-wearing hipsters are playing with has a long history in mainstream white culture, but by all appearances most of the people making and enjoying Harlem Shake videos have no idea there was ever a real dance called the Harlem Shake. 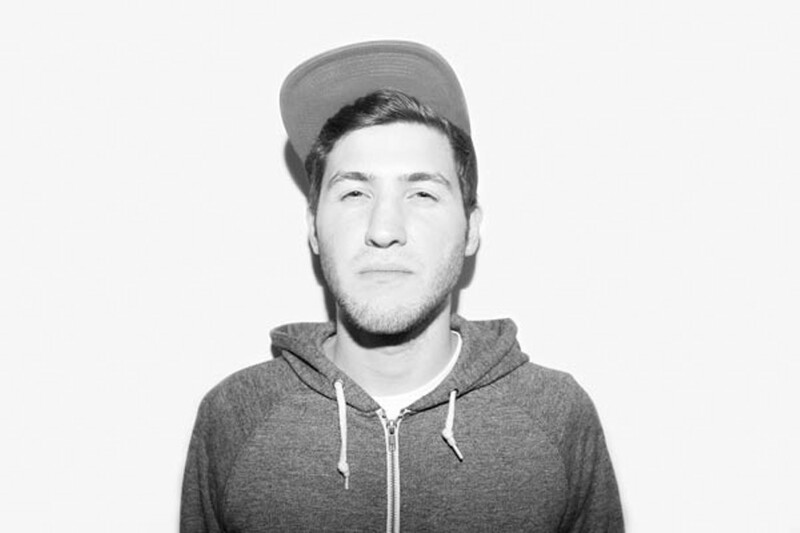 Baauer himself claims not to have known the relevant history—in his first interview after the videos went viral he said that the vocal sample "Then do the Harlem Shake," lifted from rap group Plastic Little's 2001 track "Miller Time," was just something that "got stuck in my head for a while, so I used it." Whether or not Baauer's ignorance is an acceptable excuse remains an open question. On one hand, he arguably should've done more research into his samples before releasing his song into the wild. (He probably also should've cleared the Plastic Little sample—and the "Con los terroristas" sample nicked from production duo Philadelphyinz—before putting the track up for sale. His label, Mad Decent, is only now getting around to that.) On the other hand, does a musician need to justify his sample choices with anything more than "It got stuck in my head for a while, so I used it"? What's certain is that this type of thing is going to keep happening. The Internet is essentially an enormous, unsleeping remix machine, and few of the countless people contributing to its never-ending churn bother asking for permission to toss in another ingredient. Baauer, 23, is a very Internet-minded musician, and when he talks about the process of creating "Harlem Shake"—combining the Plastic Little and Philadelphyinz samples, a lion's roar, a recording of flames sourced somewhere online, a mix of "Dutch house squeaky-high synth," and a hip-hop beat—he sounds more like he's talking about putting together a Tumblr page. And if you're familiar with Tumblr and similar content-sharing platforms, you know how quickly and easily attribution gets lost in that environment. For better or worse, the Internet is rendering the idea of cultural ownership—and even intellectual-property ownership—increasingly irrelevant, or at least unenforceable. Unless it happens to be your intellectual or cultural property that's being co-opted or stolen, the process doesn't even tend to look especially malicious. Far from it: The vast majority of Tumblr users, for instance, repost content created by others not because they're trying to pass it off as their own but because they're enthusiastic about it and want to share it with the world. The average user probably isn't going to research the history and cultural context of an interesting image before reposting it, much less reach out to whoever created it to ask for permission. They're just going to click the "reblog" button. And when a dance-music producer hears a cool line in a rap song, he's not going to research it to make sure he's using it in the "proper" way, whatever that is—he's going to load it into a sampler and get to work. Of course, unattributed borrowing across cultural lines is a very old phenomenon. The big differences in the post-Internet age are that appropriation is much easier to do and much harder to guard against. Even insular subcultures that have actively fought mainstream attempts to co-opt their aesthetics—black metal, the gay ballroom scene—have failed. Fake black-metal guys in corpsepaint shill for KFC in commercials, and pretty much anyone with a decent grounding in pop culture knows the ballroom term "throwing shade"—not to mention the "vogue" moves that Madonna ripped off from that culture long before the Internet had worked any of its transformations on society. This whole situation is hardly fair, and as a content producer myself I'm familiar with the frustrating feeling of seeing something you've created being posted and reposted online without so much as a credit. And short of a worldwide shift in consciousness, that kind of thing is only going to get more prevalent. Baauer is one face of the future, with his newfound global fame and a number one single (thanks to a fortuitously timed reformulation of Billboard's chart rankings to factor in YouTube plays). The Harlem residents bemusedly shaking their heads at what all these people on the Internet are calling the Harlem Shake are another. Can the Billboard Twitter Real-Time Charts separate signal from noise? Billboard and Twitter go halves on a baby. Between her twerking and that tongue, she has everybody talking—but not about her new album. So what does Bangerz sound like? Costumes, goofing off, and a crazy EDM song. What more do you need?